I’ve used my fair share of paste, Elmer’s Glue, Krazy Glue, Gorilla Glue, and Low-temp hot glue. I’ve even used the baby-sized E6000. 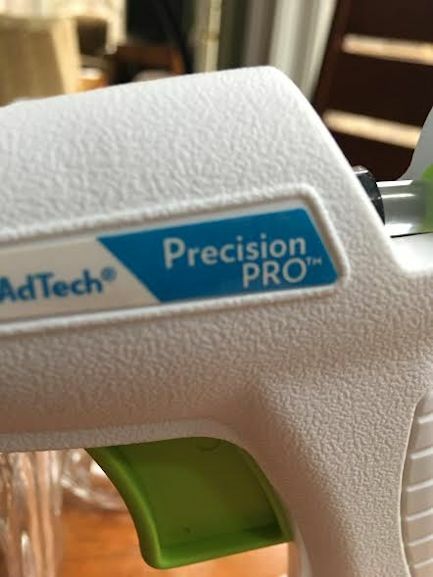 But it would seem that when you buy the high-temp hot glue gun you are considered a professional. Am I eligible to enter some Hot Glue Tournaments? I can hot glue while sleeveless and wearing shorts to show my skills at not dripping the skin-searing hot-melt glue on my legs as I craft. Or I can show how to mend clothes with my glue gun and even create artistic squiggles which can later be hung in the window like a mobile/sun catcher. Oh, I have skills all right. This is a much deserved honor. I’ll show you one of my crafts using my hot glue gun so you can see the talent oozing from me like the clear glue from my gun. 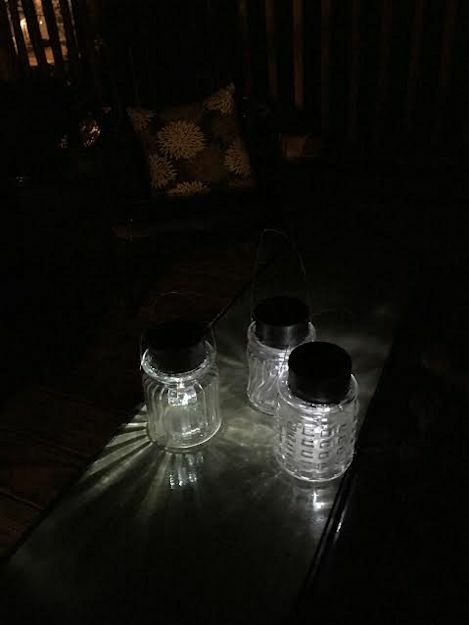 Today I made outdoor solar lights for my deck. 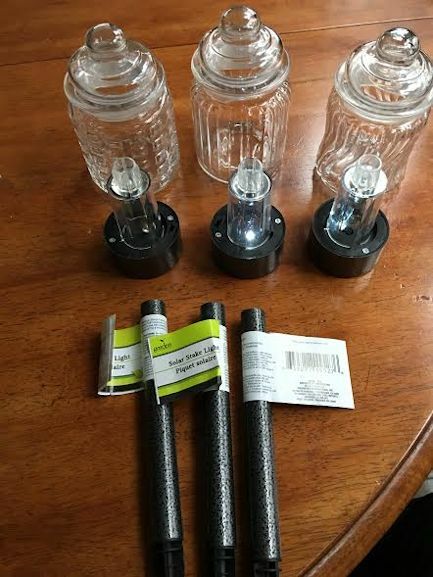 First, go to the Dollar Tree and purchase three solar lights and 3 glass jars. 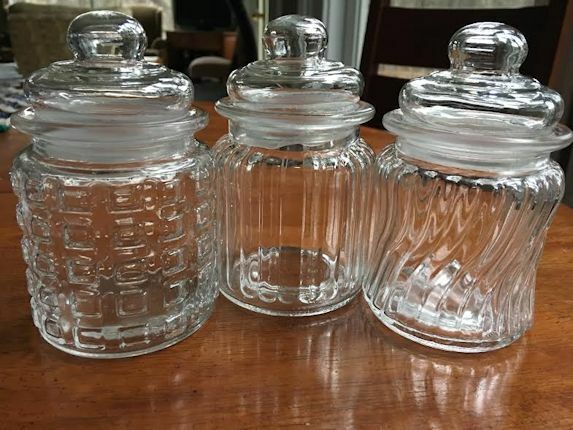 These jars were on the bottom shelf under the drinking glasses. You might have to go on a scavenger hunt for yours. 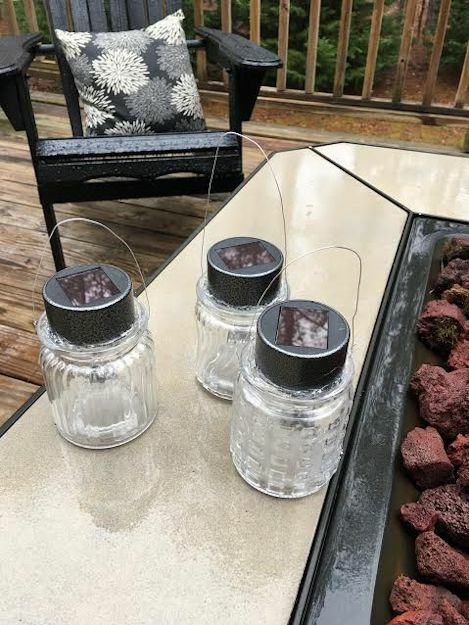 Be sure to purchase jars with a lip on them so you can hang your wire handle from it later. Pull off the stakes from the lights. It is easier than it probably should be for such fine lighting craftsmanship. Then simply glue the light fixture into the neck of the jar. 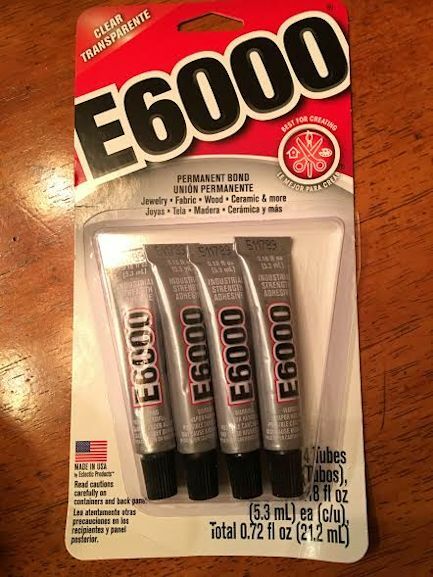 You can use the E6000 or the hot melt glue gun. Next, take an 18 gauge wire (or twine) and wrap around the lip of the bottle several times and leave a loop for the handle. 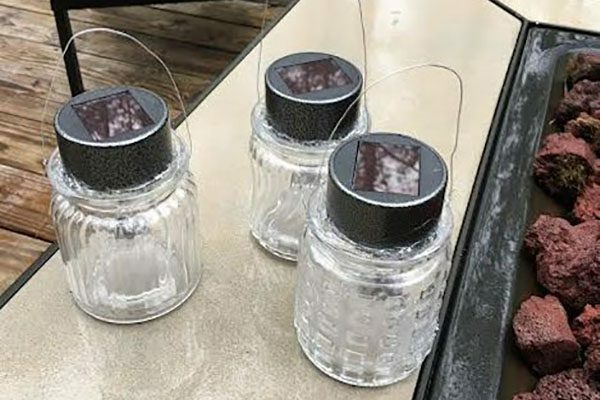 …you will have a beautiful light source on your deck table. I love the light patterns from the glass. Now, I know you’re not a “Precise Professional Hot Gluer” like I am but I think that even an Adhesive Amateur can have fabulous results. In fact, I’m sure of it. What’s this “paste eating green horn” stuff? Love it!! Oh Julie you professional!! I love these lights. Perhaps they will have hot gluing in the Olympics! As far as I’m concerned you have already won a gold medal! Thank you. Thank you. I shall take a bow or jump on the podium when I get my award. But believe me, you, too can be a Glue Gun Precise Professional with practice! 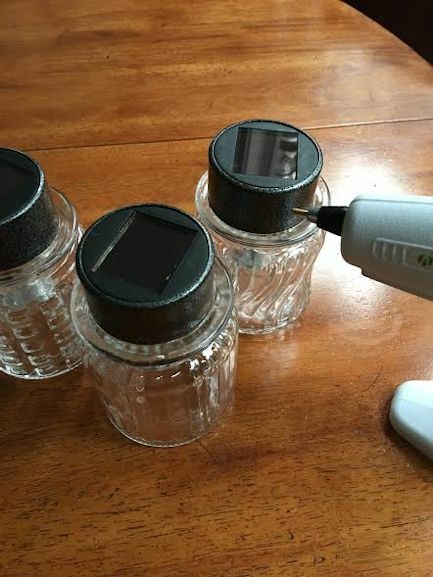 You need to do a craft with the glass jar lids with the hot glue gun. I agree. Those lids were quite interesting! I DID THIS WITH MY SISTER’S GRANDKIDS ONLY WE USED BABY FOOD JARS AND WE FIRST FILLED THE JARS WITH CLEAR PONY BEADS. 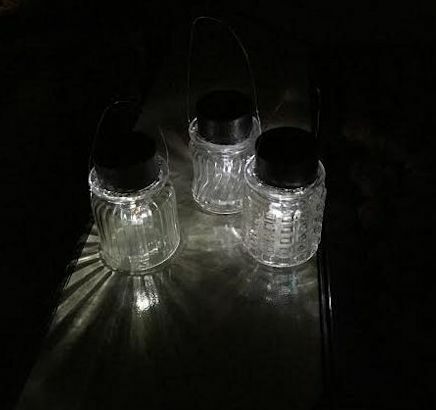 YOUR JARS WERE PRETTIER!. I LOVE THE DOLLAR TREE. I NEED TO ADD ONE OF THOSE GLUE GUNS TO MY COLLECTION. 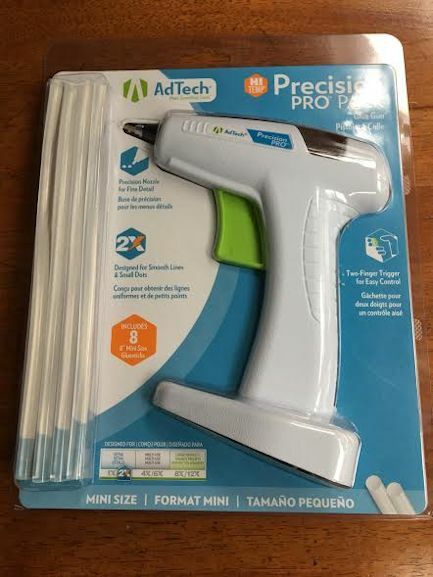 I like this glue gun because it has a built-in stand. 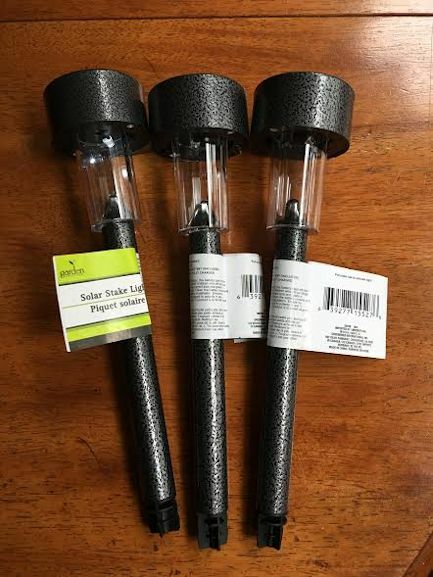 I bought it at Joann’s but I have also seen them at Walmart.